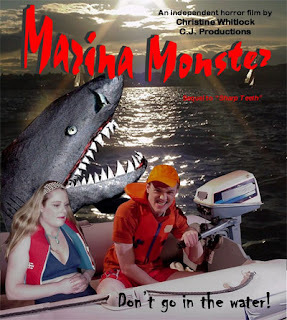 If I ever get the chance to make my own monster, shark, OR monstrous shark movie, I hope it's half as stupid as Marina Monster. 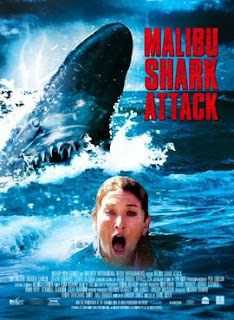 There is a brief rumination on the lust for power and its connection to the sea at the beginning of Amphibious 3D which left me peeling off into my own thoughts regarding what sort of power I would want given the chance to acquire it. I am a simple man... 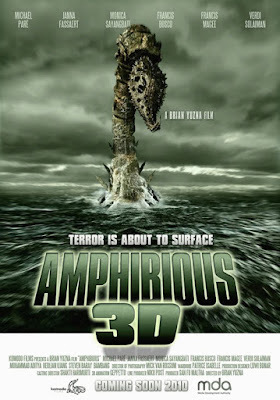 I don't require much in the way of power, but if I could have it, I would certainly crave the means to make a far more ambitious sea monster movie than Amphibious 3D. 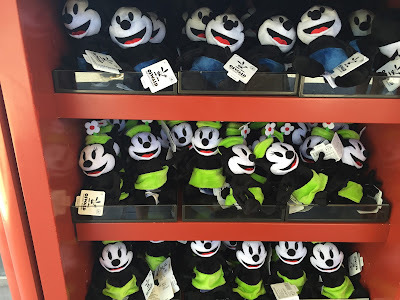 I noticed a couple of trips ago to Disney's California Adventure that Ortensia the Cat -- Oswald's wife -- was on sale in plush form at the Oswald's Service Station gift shop just inside the front gates. Back when Disney still owned the rights to Oswald, he had an occasional cat girlfriend who was usually unnamed onscreen, though she was known as Sadie in the 1928 short (now considered lost) Sagebrush Sadie. You could consider her the first draft of Minnie Mouse. Oswald fought with Pete (aka Pegleg Pete) over her in some of the cartoons. In one short, Poor Papa, they were married and had 420 kids running around the house. 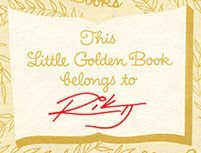 Visiting and Revisiting with Rik and Aaron... the Website! Last October, my pal Aaron Lowe and I started a series of pieces on our respective sites called Visiting and Revisiting. The concept was that one of us picks a film with which he has a long history, but the catch is that it has to be a film that the other person has never seen before. Hence, one of us is revisiting the film, and the other is visiting for the first time. Then we discuss that film at great length. We split the first five films we reviewed (and a special edition Oscars post) between The Cinema 4 Pylon here and Aaron's site, Working Dead Productions, and pretty much trusted that if people liked what they read that they would take the time to jump from one site to the other, back and forth, to finish the next portion. And, for the most part (as far we can tell from site stats), they have. But we talked about someday building a separate site for Visiting and Revisiting and letting the column live on its own. 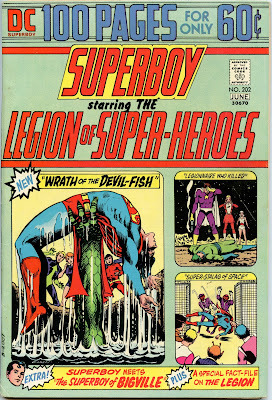 One of the more memorable superhero comics in our household when I was a kid was a copy of Superboy #202, dated June 1974 (which means we probably bought it around March or April). This was before I actively started collecting The Avengers and Star Wars comics in 1977, an act which triggered the building of my personal comic book collection. Shark species: Goblin shark (Mitsukurina owstoni), but a prehistoric version, so it's OK that they do things a goblin shark can't. Right?